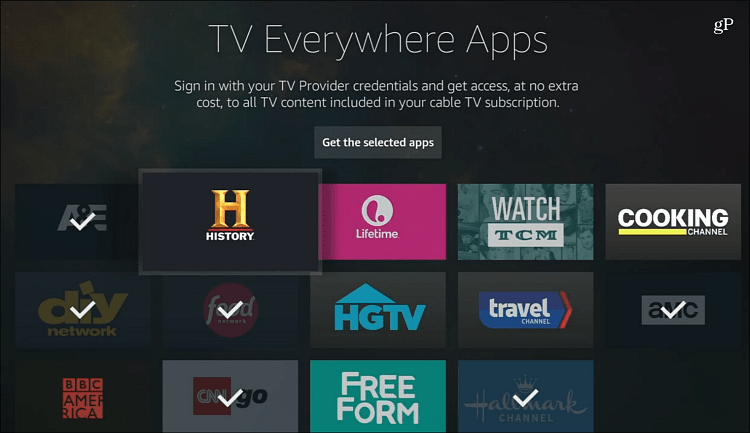 Signing in to your favorite TV Everywhere apps just got easier with Amazon Fire TV with the Single Sign-on feature. Amazon is making it much easier to get rolling with cable channel apps on its Fire TV devices. The company is now allowing the convenience of Sing Sign-on for TV Everywhere apps for channels like Syfy, A&E, USA, and others. With Single Sign-on you just need to enter in your cable/satellite account login information just once to have access to all the TV Everywhere apps. Here’s how it works. To get started, make sure you have the latest update on your Fire TV device. 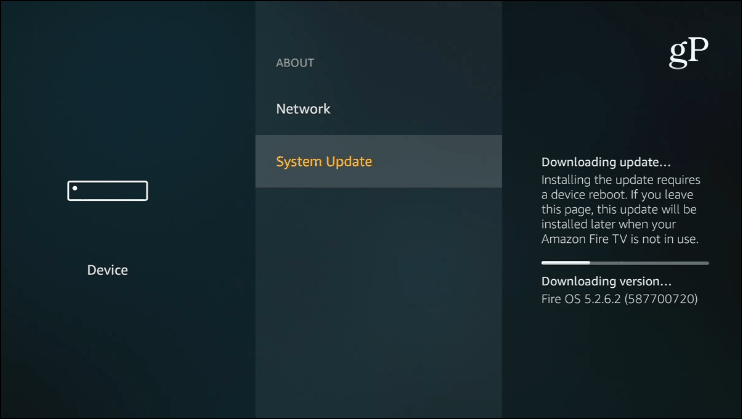 Your Fire TV should be updating in the background automatically, but you can double check for the latest version by heading to Settings > Device > About > System Updates. 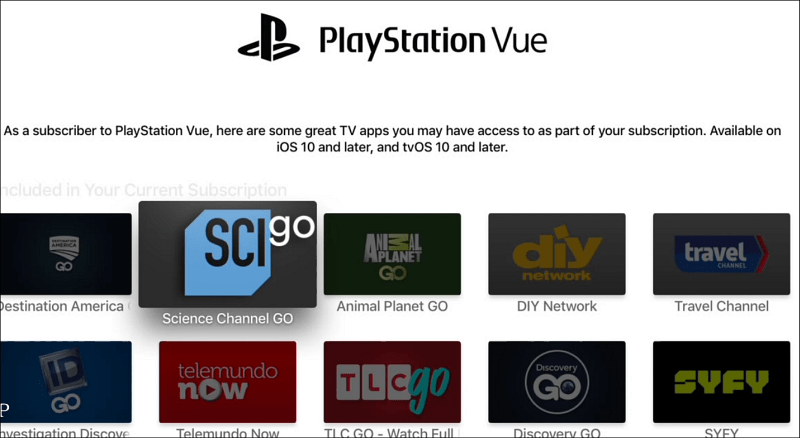 Now, sign in to one of the supported TV Everywhere apps with your TV provider credentials. If you don’t see your provider on the list of the biggest providers, choose the “View All Providers” button to get a list of hundreds more. After logging in, you should see a notification in the lower-right corner of the screen verifying Single Sign-On Apps. Hit the Options button on your remote and you will be brought to a page that shows all supported apps from your TV provider. In the screenshot below, my channels are limited as I am using a lower tier package from PlayStation Vue. The channels you see will vary, but you can select each one you want to install. That’s it! You’ve already signed in once, and you won’t be required to do it again for all participating apps. It goes without saying that signing into various accounts using a remote and the onscreen keyboard is the most tedious, time-consuming, and annoying part of owning a video streaming device. It gets extremely frustrating if you accidentally enter a wrong character and having to start over again. Now it will be much easier to start using apps for your favorite channels. 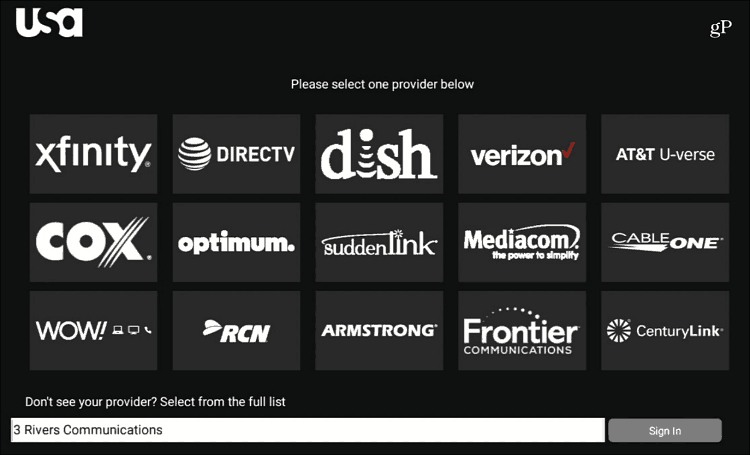 Many major cable and satellite providers support single sign-on like DirecTV, Spectrum, Version FiOS, as well as smaller companies. According to a lot of views, Comcast is the one glaring omission. 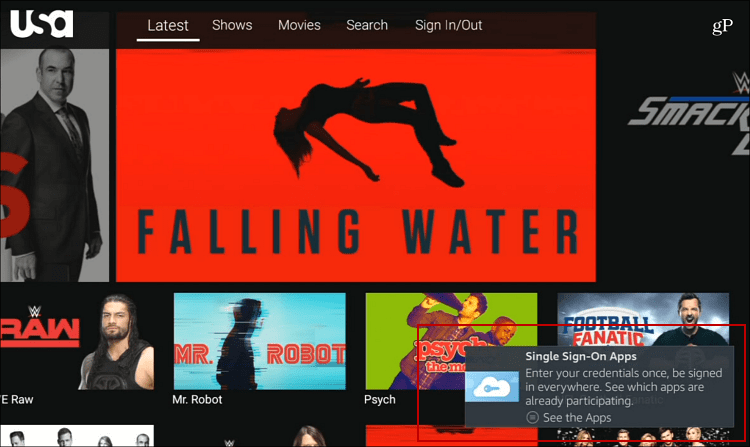 If you’re a cord cutter, you should know that many TV Everywhere apps will allow you to sign in with live streaming services like Sling TV and PlayStation Vue. It’s important to note, though, that not all apps support each service. Currently, it looks like Sling TV supports the most apps. Amazon made mention that Single Sign-on would be added when it introduced its new 4K Fire TV last year. With its latest software update that started rolling out last week, it’s now available for all generations of Fire TV, Fire TV Stick, and Fire TV Edition television sets. Apple TV owners have had this ability since 2016, and it’s interesting to note that Roku still doesn’t offer this convenient capability yet. But considering its two major rivals now support it, it’s a safe bet that Roku devices will be updated to add it soon. Has the Single Sign-on feature made your life with Fire TV or Apple TV a more pleasant experience? Leave a comment below and let us know your thoughts. It’s a good feature. Unfortunately mine is using the wrong details. Do you know how you can manage what a account details are being used for the single sign on. I called Amazon fire tv support and they were clueless. Can’t find the setting anywhere in my fire tv settings. Mine too! Frustrating! I cannot figure this out!